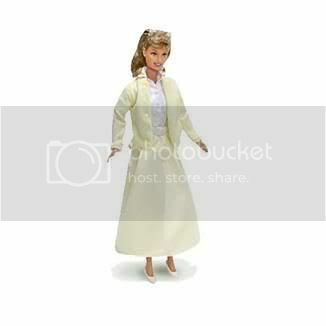 This princess Barbie is sold only at Davenport Village . She comes with an assortment of Kate Spade, Prada and LV Handbags, Rolex watch a Lexus SUV, a long-haired foreign dog named Honey and a 25,000 sq ft. patio home. Available with or without tummy tuck and facelift. Workaholic Ken sold only in conjunction with the augmented version. 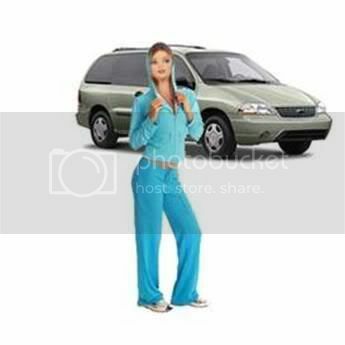 The modern day homemaker Barbie is available with Ford Wind star Minivan and matching gym outfit. She gets lost easily and has no full-time occupation. 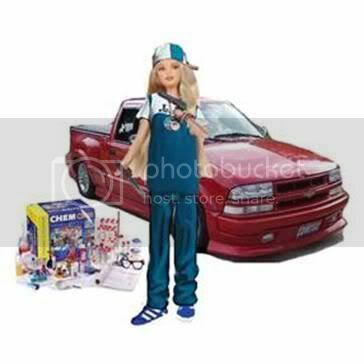 This recently paroled Barbie comes with a 9mm handgun, a Ray Lewis knife, a Chevy with dark tinted windows, and a Meth Lab Kit. This model is only available after dark and must be paid for in cash (preferably small, untraceable bills) unless you are a cop, then we don't know what you are talking about. 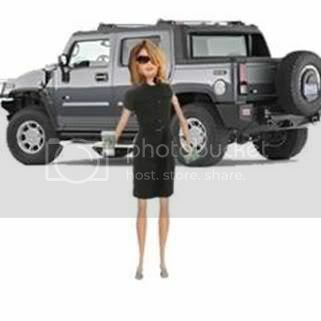 This yuppie Barbie comes with your choice of Rolls Royce convertible or Hummer H2. Included are her own Starbucks cup, credit card and country club membership. Also available for this set are Shallow Ken and Private School Skipper. You won't be able to afford any of them. 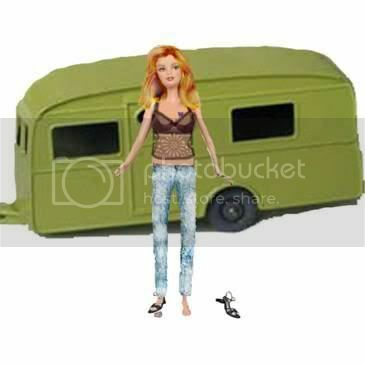 This tobacco-chewing, brassy-haired Barbie has a pair of her own high-heeled sandals with one broken heel from the time she chased beer-gutted Ken out of Bastrop Barbie's house. Her ensemble includes low-rise acid-washed jeans, fake fingernails, and a see-through halter-top. Also available with a mobile home. This doll is made of actual tofu. She has long straight brown hair, arch-less feet, hairy armpits, no makeup and Birkenstocks with white socks. 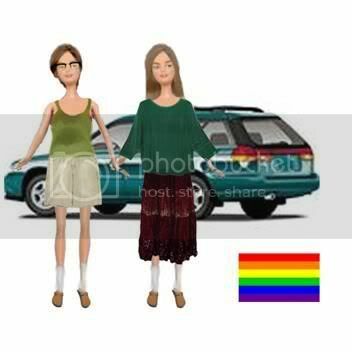 She prefers that you call her Willow She does not want or need a Ken doll, but if you purchase two Travis Heights Barbies and the optional Subaru wagon, you get a rainbow flag bumper sticker for free. She's perfect in every way. We don't know where Ken is because he's always out a-'huntin'. 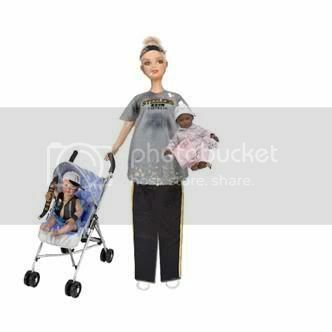 This versatile doll can be easily converted from Barbie to Ken by simply adding/subtracting the multiple snap-on parts. Last week I blogged about the hilarious 88-year old Austinite, Gladys Hardy, who was on the Ellen DeGeneres show. Today in her blog, Diane Holloway discusses how Gladys might not be real. Not only can she not track down Gladys, she points out that it is fairly suspicious that Gladys has a MySpace page and her own Web site. Not being one to spread hoaxes, if it turns out that Gladys is a fake, I apologize for posting her clip. Still, I do find it funny, as must a lot of people given that the traffic to my blog has increased 1,000% due to people searching for the video clip. The joke may be on all of us, but at least it was a funny joke. The university is opening late tomorrow; the first classes begin at 11. Since I teach at 8 a.m. and 9:30 a.m. on Thursdays, I guess I have another day off. I was right about Doug -- he took off for a few hours this afternoon. Said the roads weren't bad but the bridges were slick. To be honest, I am going freaking nuts right now -- too long in the house. I think tomorrow we will be able to make it to the gym and go grocery shopping. Friday is not a teaching day, but I have an afternoon-long faculty meeting in San Marcos. What's hard to believe is with DirecTV and a DVR, we still are finding little interesting programming on TV. This evening we tried to watch Charge of the Light Brigade. Doug's aunt had sent it to him for Christmas because her ex-husband did the opening animation. Truth be told, the animation was way more interesting than the rest of the movie. After 45 minutes, I gave up on it. Sometimes I wonder of Austin media, particularly the weather folks, need to be reminded about the two fables, Chicken Little ("the sky is falling!") and The Boy Who Cried Wolf. Often, when there is one drop of rain, and temperatures in the 30s, you start hearing about the "huge" ice storm on its way. Of course, Austinites can't drive in the rain, so a bit of ice really is scary. Usually, however, it's nothing. This week, it is something, but it was a little later than expected. Originally, it was supposed to start Sunday afternoon. Doug's uncle, who was in town with his wife visiting their step-grandchildren, decided to return to Los Angeles a day early in order to miss the weather. Seems several folks were also changing flights, so that the only available plane was early Sunday morning. Monday was MLK Day, so nothing much was going on. Doug received calls that morning, postponing his dentist appointment and cancelling his stained glass class that night. Companies, like Dell and IBM, shut doors early because the storm. Thing was, storm hadn't started yet. The sky was falling and yet it was just cold, with a few drops of rain. There was some ice on the cars, but Doug, who got out that afternoon, said the streets were in great shape. Monday night the storm started in force. Tuesday morning everything was covered in ice. We didn't bother trying to go out. It sleeted throughout the day, and we actually got snow, although there wasn't much of an accumulation. The temperatures have stayed below freezing, so the roads are still covered. Doug and I are doing okay, although we are both getting a little stir-crazy. Actually Doug, who can't stay home more than 2 hours at a stretch, is going more than a little nuts. I wouldn't be surprised if he gets out for a little while, if only to get cat food and kitty litter for Dexter. My evening jewelry class was cancelled tonight -- they were afraid of icy roads after dark. School was supposed to start yesterday, but the university has been closed for the last two days. I'm curious if it will be open tomorrow, or at least open for morning classes. I'm supposed to teach at 8 & 9:30 tomorrow and I am a bit worried about the early morning commute. Mainly it's just been sitting and waiting for news and sunshine. I'm a fan of off-beat comedies. Give me a Kevin Smith or a Christopher Guest movie and I will be rolling on the floor. This is why people don't understand why Doug and I don't (or should I say won't) watch The Office. Having spent so many years working in the tech field, I just tell them we don't have to watch The Office, we live it. Regular readers might remember that in December Doug was laid off. What I never posted was that the week before Christmas he got a job offer (I was afraid to jinx it). It was with a large, but not very well known, company. When he interviewed, he met with three different people, each of whom had a different idea of what the job would entail. Not a good sign, but it was a two-year contract and Doug thought he could help the organization. They made an offer, pending a background check and drug test, and thought he would start at the beginning of the year, Jan. 2. With this news we were able to have a very merry holiday. Doug didn't hear back about the results of the drug test/background check until the week after Christmas. Not that he was worried, but usually that's the last hurdle one has to pass before getting hired. I will always remember when I worked at the corporate office of Wal-Mart, a girl was given a promotion (I had been up for it and luckily, didn't get it), went and did her drug test, and before the results came back and she started the new job, the company froze the position and didn't hire her. Doug was pleased to hear that everything was okay with the test and background check and was even pleased when they said it would be a Jan. 8 start date. Last week he got a call from the contracting company which is placing him with the company. Evidently with the holidays the hiring company was slow with their paperwork and it would be Jan. 15 before Doug would start. The hiring company said they wanted to make sure they had all the computer systems, clearances, etc. in place so Doug could hit the ground running. Doug understood and was cool about it. After all, he's been at companies where it's been several weeks before he was assigned a computer -- no fun at all. Then came this Thursday. The contracting company called Doug. There were some issues at the hiring company, maybe some type of departmental restructure, and there was this one guy who wanted to talk to Doug. This was the hold up with the paperwork (the hiring company hadn't even started with the paperwork), but if this guy approved Doug, the paperwork would be done ASAP. We're still not sure what the deal was, other than some posturing and protecting of turf of various managers, but it looked like that the position Doug interviewed for would now report to this guy, who wasn't in on the initial interviews. In fact, this guy wasn't even sure if he wanted or needed the position Doug was hired for. Yesterday morning Doug goes to the company and meets the guy. He gets grilled, but all in all, things went well. Doug really showed where he could bring value to the organization and help them set up an efficient way to run IT projects. The (now) hiring manager said that he wanted to think about it and review what he really needed and how Doug could fit into the organization. Doug left the interview thinking it would be at least next week before he heard back. The guy must have made his decision fast as Doug got a call that afternoon. They liked Doug, but decided they didn't want to structure the position as they originally talked about, and instead offered him a position that would almost be like an assistant project manager. What?!? Doug is in a position where project managers report to him, not the other way around. He politely said no. Obviously, this is frustrating. One might think working in tech you get used to it, but you don't. I think the biggest thing that got to Doug was the fact that he turned down other interview offers and let the job search go cold because he had this one. He is also mad as he feels like the hiring company was lying, saying the paperwork was in progress, when it really wasn't. In the end, I think it was the best thing that the company rescinded the offer. I was getting bad vibes and really didn't want Doug working in another miserable place. This is a better time of year for job hunting than December, so we hope he'll be placed quickly. Still, the next time someone asks why I don't watch The Office, I'm going to point to this post and tell them the writers could come up with a plot like this. 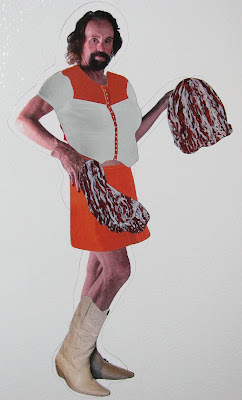 In honor of tonight's UT basketball game against Missouri, the Leslie magnet is dressed as a Longhorn cheerleader. Hook 'em. 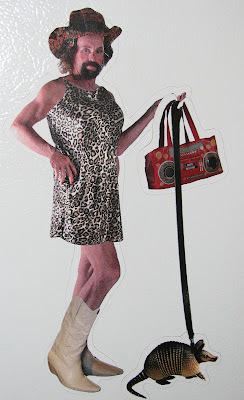 Today the Queen of Austin is wearing leopard print, white cowboy boots and is walking his armadillo. 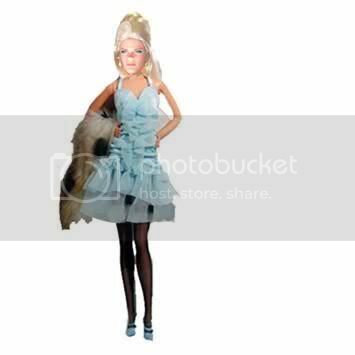 As I mentioned earlier, we found this Leslie dress-up magnet at Book People. The cost is $15 and Leslie gets 15% of the sales. For a homeless guy, Leslie gets around. Yesterday I heard on the radio that he has a MySpace page. Be sure to invite him to be your friend. Stay tuned for his next outfit.